This town lies in a region where mountains subside into fertile cultivated lower fields. The original Piazza Armerina was born when the Saracens established themselves on Colle Armerino, one of the three hills on which it sits, in the 900s. It greatly expanded in the 15th century, the reason why it is a "town of two towns." Piazza Armerina’s main shopping street is Via G Mazzini. Its historic centre is worth exploring. The enormous cathedral lies up the hill on Via Cavour. Its 18th century dome is visible from a distance. The façade was incorporated in the 18th century a bit before the dome. Its interior is decorated mostly in white and blue and houses a reproduction of the Virgin of the Victories. 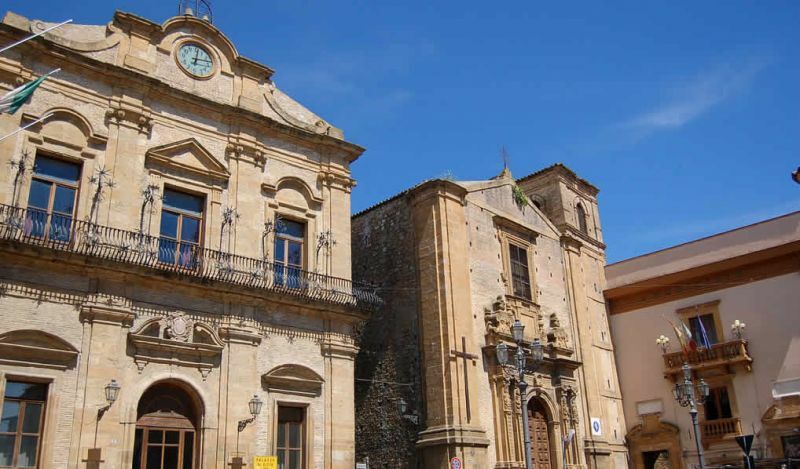 The baronial Palazzo Trigona is found across the street and the statue of the man who comissioned the construction of the cathedral is in the piazza. Via Monte, a 13th century road, leads you through a colourful part of town with charming narrow streets. The vestiges of Castello Aragonese, erected in the 14th century, sit on Via Floresta which is also home to Palazzo Trigona. In Piazza Garibaldi you can admire the Palazzo di Città from the outside (no visits indoors), and the stunning tufa carved doorways of Chiesa di San Rocco. To celebrate Count Roger’s feat in taking Piazza Armerina from the Moors in the 11th century, the Palio dei Normanni takes place every year in the middle of August. Parades, jousting and other festivities are organized for the celebration. 5 km away from Piazza Armerina is the Villa Romana Casale, listed by UNESCO World Heritage . It may have belonged to the co-emperor Diocletian, Maximianus Herculeus. The vast 3535 sq-m and the perfectly kept polychrome mosaics flooring are stunning. 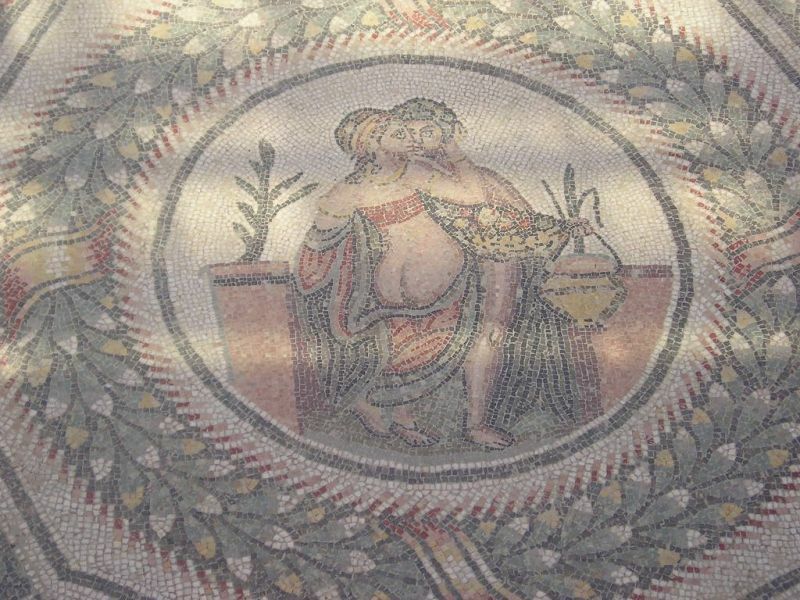 The mosaics depict all aspects of Roman life such as love and leisure.Their naturalism is particularly impressive, quite different from the Byzantine symbolism mosaics were generally characterized by in those days. The whole villa has four construction networks. It had periods of abandonment and was destroyed by the Norman king William the Bad in the 12h century. A landslide buried the area and even though the excavations started in the 18th century, only in the 20th century were some parts unearthed. There are still parts of the villa underground such as the slaves quarters and annexes. Unfortunately a flood covered the mosaics again in the 90s. Another danger apparently is that the temperature and humidity in the summer will soon spoil the mosaics. The villa has its own car park and a café with toilets. The narrow walkways are difficult to walk when 2000 tourists a day are all here. Very early or at noon are the best visiting times. Unfortunately there is no access for the disabled. The villa features its original baths and mosaics. It also has the central courtyard, the throne rooms and a gymnasium depicting a scene of the Circus Maximum of Rome. Then there is also a large corridor with fabulous scenes of animal hunting and maybe the co-emperor himself, another room with mosaics representing 10 girls in “bikini “ costumes, apartments with scenes by Homer and a banquet hall with illustrations of Hercules. The tourist information office is on Via Cavour on Piazza Garibaldi.Only Italian is spoken here but head for Via Umberto I to find maps and English speaking assistance. Da Totò (Via G Mazzini) serves simple meat dishes, pasta dishes, risotto and local wine. It is the traditional trattoria. On Via del Teatro by the theatre is Del Teatro, an informal restaurant serving pizza and pasta that can be eaten outdoors in the summertime. Walking up to the cathedral on Via Cavour you will find La Tavernetta, a simple yet well liked trattoria. La Ruota is only 1 km from the villa, deservedly well-known.The skilfully prepared rabbit stewed with tomatoes, olives and capers is a delight. Garibaldi on the street of the same name is a brand new restaurant with a laid back atmosphere but also with elegance. It features a terrace where diners can eat sheltered under canopies. It has given traditional cuisine a fun twist. Its wine list is all-Italian yet Sicilian labels predominate. For just a drink check out fashionable Club La Belle Aurora on Piazza Castello. BY BUS: to Enna (duration: 45 minutes, services. 8 a day from Mon-Sat, only 2 a day on Sat), to Syracuse (duration: 2 hours, services: 1 a day), to Catania( duration: 1 ½ hours, services: 9 a day from Mon-Sat).